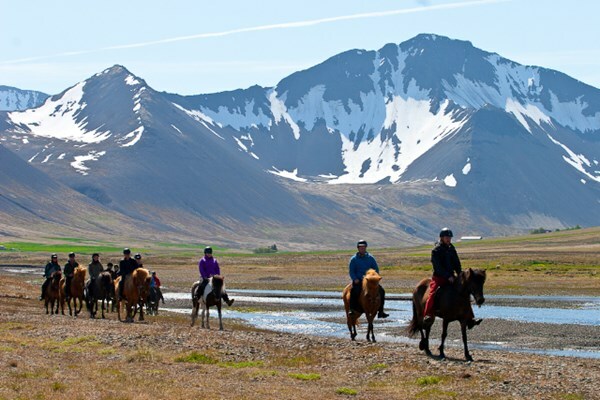 Our Valley to Sea tour starts by heading into the Sanda valley, between some of the Westfjords most breathtaking mountains. 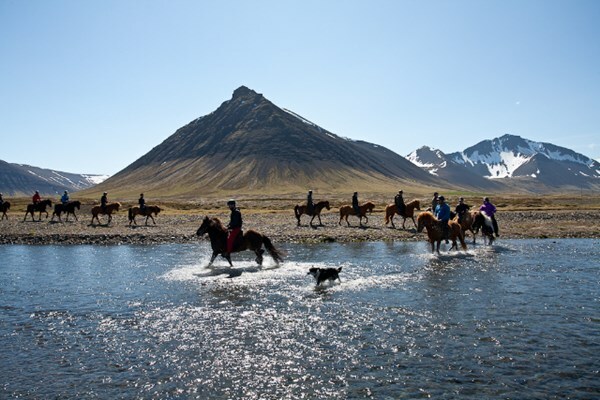 We will then take a small break in the grass with the horses, before continuing our ride along the Sanda river and out to the black sand beaches where the river meets the sea in Dýrafjörður. 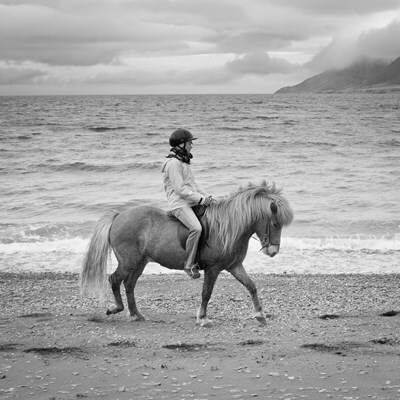 In some parts of the valley we will pick up the pace and try trotting and the famous ‘tolt’ gait. 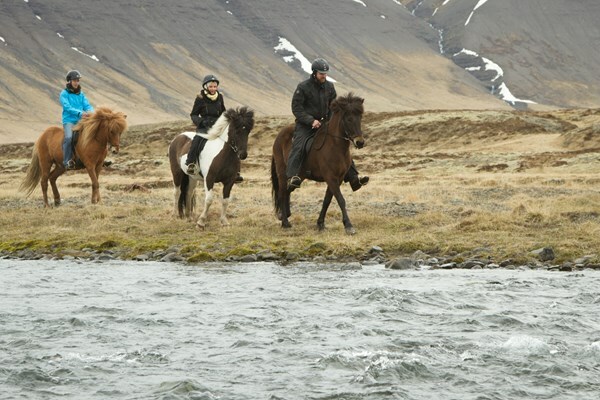 This 2.5 hour tour is most suitable for guests who have some experience riding or are comfortable with a slightly faster pace trotting or tolting. Departures from Simbahöllin Café in Þingeyri. Required equipment: Warm and windproof clothes according to the weather. Firm shoes. 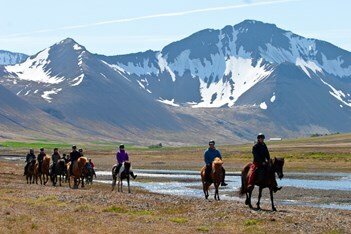 Requirements: Minimum 4 riders, maximum 8 riders. Riders should be physically fit enough to keep up with the faster pace. Minimum age 10 years old.